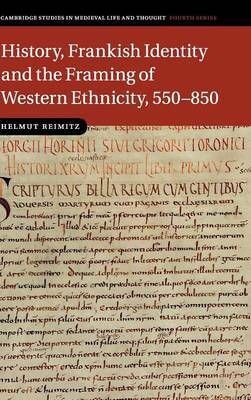 This pioneering study explores early medieval Frankish identity as a window into the formation of a distinct Western conception of ethnicity. Focusing on the turbulent and varied history of Frankish identity in Merovingian and Carolingian historiography, it offers a new basis for comparing the history of collective and ethnic identity in the Christian West with other contexts, especially the Islamic and Byzantine worlds. The tremendous political success of the Frankish kingdoms provided the medieval West with fundamental political, religious and social structures, including a change from the Roman perspective on ethnicity as the quality of the 'Other' to the Carolingian perception that a variety of Christian peoples were chosen by God to reign over the former Roman provinces. Interpreting identity as an open-ended process, Helmut Reimitz explores the role of Frankish identity in the multiple efforts through which societies tried to find order in the rapidly changing post-Roman world.